← Too Hot to Handle? I haven’t run this far since October 27, 2012 when I did 13.1 in California! It’s been a battle since then with injuries but I’m coming back strong! It felt so good to get 12 miles today. It was slower than my “usual” pace but these days a run is a run, no matter the pace! We ran some hills and I watched my heart climb to 188! WOW! Next week we taper back down to get ready for race day on February 24! Are you joining the February challenge, Too Hot to Handle? Let’s get those love handles in check this month! Here’s the post about it. There’s also a page dedicated to the challenge. We have a winner for our first grand prize from Allied Medal Displays ~ congratulations Leslie Alcala! Watch for an email from me. Don’t forget the rest of the #30DayHomies grand prizes are still going on, there was a new one announced every day last week. Check the page for all the posts. The next one ends tonight at 11:59PM CST. Don’t miss out! 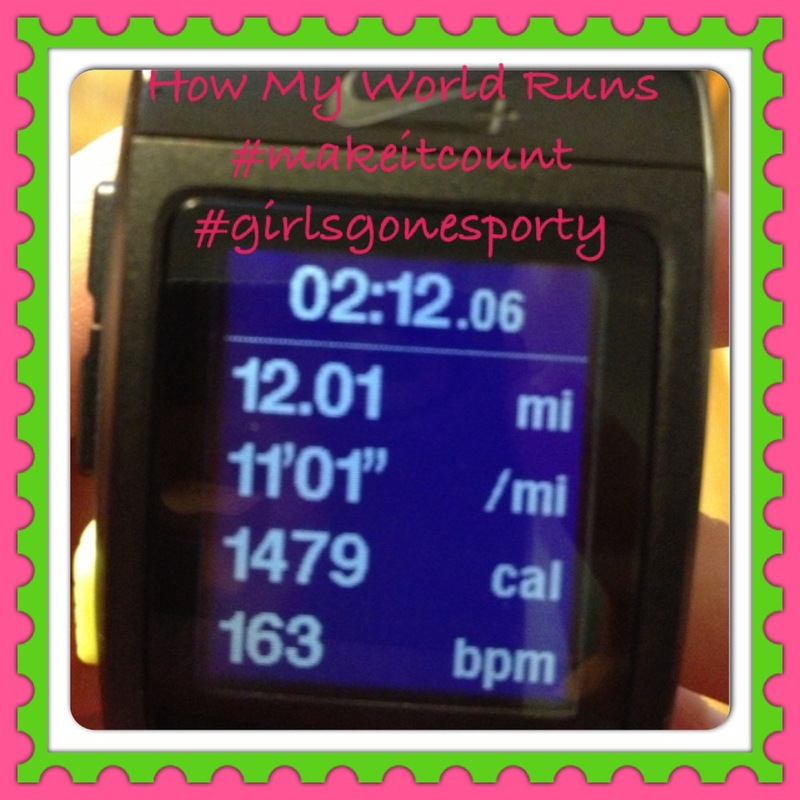 This entry was posted in Uncategorized and tagged #MakeItCount, #thth, allied medal, how my world runs, nike, race, running. Bookmark the permalink. 4 Responses to 12 miles feels awesome! Good for you- Great run! My last big run was 12, too! October 6, 2011! It’s been so long that I can even imagine that distance again. Oh to hit the pavement again. Missing it! 12 miles is awesome! I hope to be able to run that kind of distance some day. Becky, it’s totally scary to think that far ahead. Just keep adding a little at a time, about 1 mile per week if you are running consistently. You’ll get there!